BMW has denied its cars will be built at Mitsubishi's NedCar plant in the Netherlands, after a Dutch newspaper reported output of Mini or BMW-branded vehicles could begin there as early as 2014. Local newspaper Dagblad De Limburger said negotiations were ongoing between a Dutch bus maker, VDL Groep, and Mitsubishi, to build cars for the BMW Group at the facility, adding that both parties were close to finalizing a deal. Earlier this year, Mitsubishi announced plans to wind down production of its Mitsubishi Colt subcompact and Outlander SUV models at the plant in Born by the end of 2012. 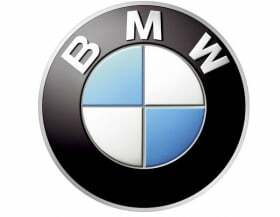 The report, published on Wednesday, said that BMW managers had visited the plant and while they were not considering taking over the factory, they were interested in VDL manufacturing cars for them. After Mitsubishi's announcement in February to end output at the plant, there was speculation that BMW Group was interested in taking over the factory and its 1,500 workforce to build the Mini brand, a rumor BMW denied at the time. The Mini is currently built at the automaker's Oxford factory in England and by Magna Steyr in Austria. The VDL Groep is an automotive engineering company that specializes in the development and production of buses. It also makes automatic production lines for customers that include Jaguar Land Rover, Ford and BMW. The company operates in 17 countries worldwide and has 7,400 employees.